June 24, 2017 - Highlights from today's Les Schwab North-South All-Star Football game, with the South winning 10-7. Wilsonville's Harrison Steiger, playing for the South, caught a pass for the game's only TD. 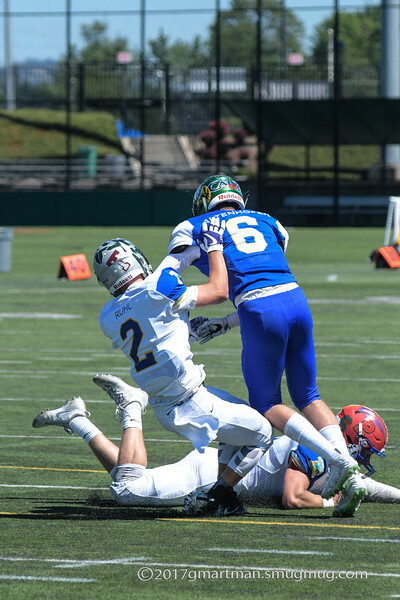 West Linn's Justin Altenhofen had several catches for the North. Incoming Wildcat Freshman Morgan Schwenke sang the national anthem. Temperatures started in the 80's and by the final gun, soared to 99.